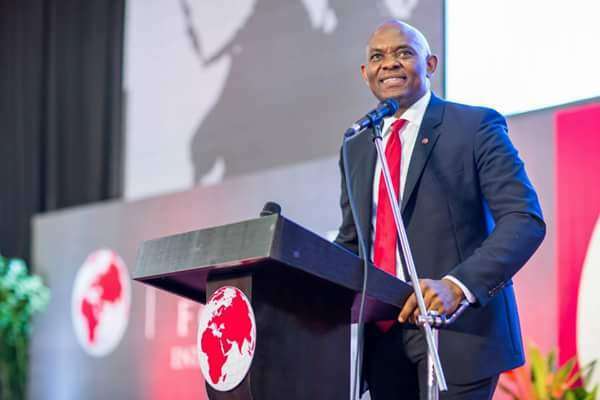 Tony Elumelu Biography & Net Worth (2019) – Perhaps one of Africa’s finest and leading cardinals in the business world of banking comes in the distinguished persona of Anthony Onyeamechi Elumelu. Born in March 1963, the eagle eyed business mogul have given the world around him enough reason to appreciate his birth. He’s an economist, entrepreneur, philanthropist and Father. One name synonymous to Elumelu is the United Bank of Africa (UBA), a leading African bank he once chaired and took the fortunes of the financial institution to enviable peaks. The father of seven is also the founder of Heirs holdings and chairman of the famous conglomerate, Transcorp Nigeria. 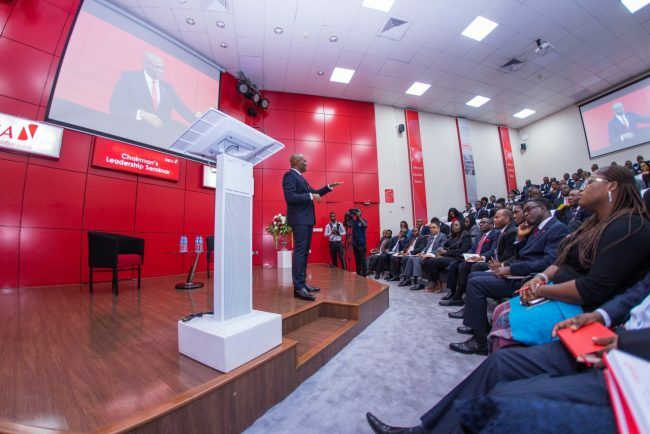 The Tony Elumelu Foundation, a non profit organization, reflected his philanthropic side and strong passion to see smart minds like his, succeed uninhibited in business. He is well revered in Nigeria with some couple of awards to complement his famous self. We take a focal look into the awesome pedigree and some basic facts about the astute banking mogul. Anthony Elumelu was born in Jos, Plateau State, Nigeria on the 22nd of March 1963 to entrepreneurial parents, Mr. and Mrs. Dominic Elumelu. He hails from Onicha-Ukwu in Aniocha North Local Government Area of Delta State, South South Nigeria. He isn’t the only the offspring of the presumably proud Mr. Dominic, for out of the five products of his loins, two are eminent. He, (Elumelu) a renowned banker and Billionaire and his brother, Ndudi Elumelu, a former member of the federal house of representatives. Although a pinched information is available about his primary education, his stint at the Ambrose Ali University, Ekpoma is no longer news as he bagged a degree in Economics from the former Bendel State University. He has a Masters Degree in economics from the University of Lagos and further puffed up his academic credentials with a degree from the prestigious Harvard Business School in an advanced management programme. From what started as a basic fulfillment of the mandatory one year youth service scheme demanded of every Nigerian graduate, Elumelu rose up the ladder in the banking sector to the big shot he is today. While serving as a corps member in Union Bank early 1985, it would have seemed starry-eyed of him to have led a groundbreaking merger in the banking industry, well, that was actually the case. Elumelu, years after serving his country, spearheaded a renaissance in the banking world that led to the acquisition of the United Bank for Africa (UBA) in 2005. After being handed the leadership baton of UBA, he championed the intercontinental relevance of the bank, delocalizing it from a primitive Nigerian bank to one of the leading banks at the African regional level. At the moment, the bank could answer present to the banking roll call of 19 African nations. Elumelu would later take a bow as chairman of UBA in 2010 and level up his portfolio with the birth of Heir Holdings, his own business conglomerate in 2011. Subsequently, Heir holdings acquired a major stake in the Transcorp group, a business conglomerate with prime interest in hospitality, agro-business, real estates and energy. He was made Chairman of the Transnational Corporation of Nigeria (Transcorp) after becoming a major shareholder. Since he is quite a hot-shot in the business world, his sheer brilliance and acumen has earned him certain positions in the country and ashore. Advisor to the USAID’s Private Capital Group for Africa (PCGA) Partners Forum. Co-Chair of the Aspen Institute Dialogue Series on Global Food Security. President of Agricultural Transformation Implementation Council (ATIC). Vice-chairman of the National Competitiveness Council of Nigeria (NCCN). Chairman, ad-hoc Ministerial Committee for the establishment of world-class hospitals and diagnostic centres across Nigeria. Member, Global Advisory Board of the United Nations Sustainable Energy for All Initiative (SE4ALL) and USAID’s Private Capital Group for Africa Partners Forum. He was one of the co-chairs of the 26th World Economic Forum on Africa in Kigali, Rwanda, from 11 to 13 May 2016. He is co-chair of the Africa Energy Leaders’ Group (AELG). In 2009, the late Nigerian President, Umaru Musa Yar’adua asked him to serve on the Presidential Committee on the Global Financial Crisis. Elumelu is happily married to Dr. Awele Vivien Elumelu, a renowned medical doctor. PAY ATTENTION: Always visit HyNaija for latest naija news! The union which was certified in 1993 is blessed with seven children. In 2003, the Federal Government of Nigeria conferred on Tony Elumelu a national historic honour, Member of the Order of the Federal Republic (MFR). He holds an honorary doctorate of science degree from Benue State University and an honorary doctorate degree in business administration from the University of Nigeria, Nsukka. 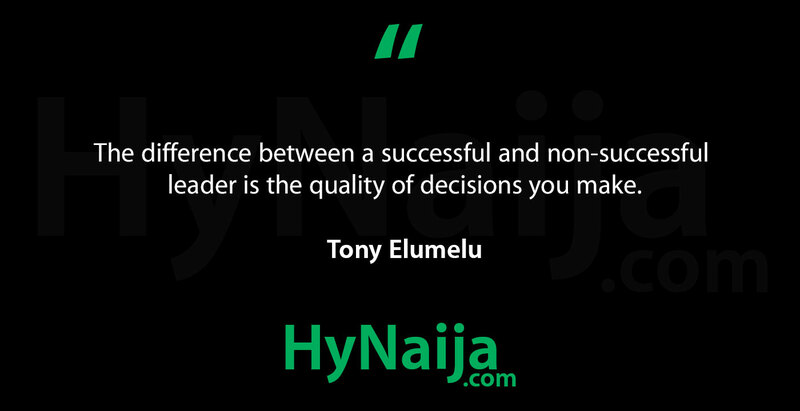 In 2006, Elumelu was voted African Business Leader of The Year by Africa Investor magazine. In 2008, he was recognised African Banker by African Banker magazine. In 2012, he bagged another national award as the Commander of the Order of the Niger (CON) for his excellent entrepreneurial strides. At the 5th edition of the annual Economic Forum of the Ivorian National Council of Employers, CGECI Academy, (CGECI) in Abidjan in April 2016, he was awarded a Lifetime Achievement Award. He was recognised as one of “Africa’s 20 Most Powerful People in 2012” by Forbes magazine and the New African magazine featured him in their list of the “100 Most Influential Africans in Business”. In 2013, Elumelu received the Leadership Award in Business and Philanthropy from the Africa-America Institute (AAI) Awards. He was also named African Business Icon at the 2013 African Business Awards. ESI-Africa, frequently described as “Africa’s power journal”, named Elumelu in its 2015 “ESI Most Influential Figures in African Power” list in January 2015. The Tony Elumelu Foundation which is a non profit organization was established in 2010 after the prime investor called it a day with his banking leadership. The foundation which is headed by veteran film producer and media investment expert, Parminder vir is aimed at encouraging young African entrepreneurs with financial incentives to pilot their innovative ideas into mega successes. Every year, grants are issued to youths all over Africa, whose entrepreneurial skills have been found worthy of support in a competitive environment. Tony Elumelu’s net worth sits at a staggering $700 million which is an aggregation of financial splendour sourced from his numerous investment portfolios. Please, Don’t forget to share Tony Elumelu Biography & Net Worth (2019) with your friends!